Can you explain the nomenclature change, from M8, M9 to ‘M’? We don’t want to give our customers the feeling that when the M10 comes out, for instance, that the M9 is suddenly the ‘old’ model and they have to buy the new one because the old one isn’t good enough anymore. We decided that the continuous numbering concept is not the right thing for us in the long term. The Porsche 911 for instance has always been the Porsche 911. The Leica M is a timeless product, and this is what the naming should express. Sadly this product design policy is not employed in other products, which have become just use-and-throw, nothing else. I’m glad to hear that Leica continues with its tradition. Read the full interview here: Photokina 2012 – Interview: Jesko von Oeynhausen of Leica: Digital Photography Review. Leica Camera presents a groundbreaking milestone in the history of the Leica rangefinder system at the photokina in Cologne (18 to 23 September 2012): The Leica M. As the first camera to implement a newly designed and constructed CMOS image sensor and to feature additional focusing methods and functions like Live View and Full HD video capability, it is the most versatile model ever in the history of Leica rangefinder cameras and sets entirely new standards. It unites the numerous advantages of innovative digital technology with a rangefinder technology that has been continuously perfected over decades. At the same time, it remains true to the legendary values of the M-System, while expanding the opportunities offered by rangefinder photography – and, for the first time, offers compatibility with Leica-R legacy lenses. 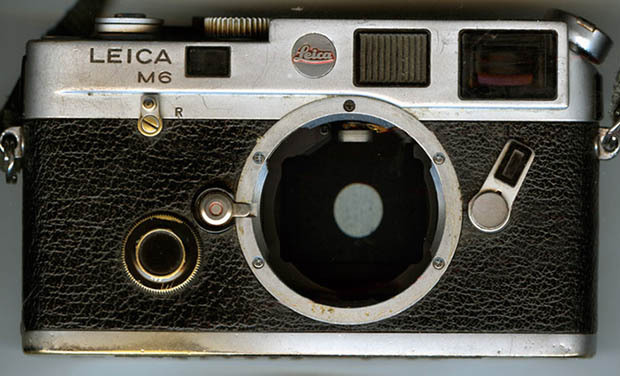 Source: The New Milestone: The Leica M.